Providing you the best range of graphtec blade for cutting plotter, blade holder for saga cutting plotter, roland blade for cutting machine, pinch roller for cutting plotter, graphtec blade holder and cutting plotter blade with effective & timely delivery. We are offering Graphtec Blade for Cutting Plotter to our clients. 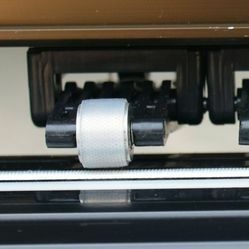 We are offering Blade Holder for Saga Cutting Plotter to our clients. 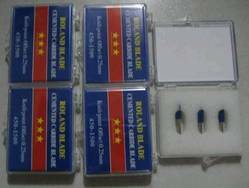 We feel immensely pleased to offer an exclusive gamut of Roland Blade for Cutting Machine. This blade is manufactured by utilizing optimum quality raw materials and advanced technology by our skilled vendor’s professional. 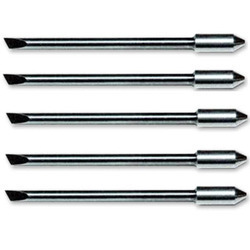 In order to ensure quality, this blade is rigorously tested on various parameters. In tune with international standard, we provide the entire product in various sizes and designs, as per the ever-evolving requirements of our clients. 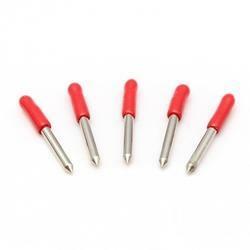 Our clients can avail this blade from us at market leading prices. 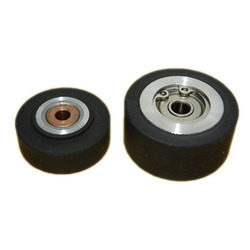 As a prominent company, we are engaged in offering a wide range of Pinch Roller for Cutting Plotter. This roller is manufactured by our adroit vendor’s professional using high-grade raw materials and advanced technology. Our roller is highly acclaimed by our clients for their expansive applications and indispensable features. In order to meet maximum clients' satisfaction, we have reasonably priced our range without compromising with the quality. We are offering Graphtec Blade Holder to our clients. We are offering Cutting Plotter Blade to our clients. We are offering Cutting Plotter Display Set to our clients. We are offering Roller Rubber Wheel to our clients. 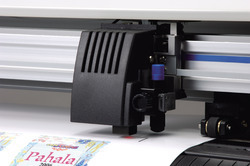 Looking for Plotter Spares ?